1.3 If you wish to ‘refer a friend’ to KrazySalt.com.au that friend must register themselves – we will not enter Personal Information on their behalf. 1.5 KrazySalt.com.au will not Collect Personal Information secretly or in an underhanded way and will not sell your Personal Information to any third party. (d) providing you with effective customer service. If you purchase a product, we will disclose your name, address and other information necessary to complete the. We will use reasonable endeavours to make sure that the Personal Information that we disclose on your behalf is the minimum necessary to complete the order. 3.5KrazySalt.com.au will not Use your Sensitive Information for Direct Marketing purposes. (b) keep us up-to-date with changes to your Personal Information such as your name or address. You may change your personal details by using the relevant facility on our Website or by contacting KrazySalt.com.au care of the contact details described in Point 12. 5.1 KrazySalt.com.au will take reasonable steps to protect the Personal Information from misuse, interference, loss and unauthorised access or disclosure. This may include taking reasonable steps to destroy or permanently de-identify Personal Information once it is no longer needed for any purpose for which it may be Used or Disclosed in accordance with Australian Privacy Principal 11.2, subject to the exceptions contained therein. 5.2 KrazySalt.com.au will not attempt to match de-identified or anonymous data Collected through surveys or such online devices as “cookies”, with information identifying an individual, without the consent of the relevant individual. you may do so by contacting KrazySalt.com.au’s Privacy Officer as per the details in in Point 12. 6.5 KrazySalt.com.au will not normally charge a fee for processing an access request unless the request is complex or is resource intensive. KrazySalt.com.au does, however, reserve the right to charge an administration fee if an individual requests access to their Personal Information more than once in a three month period. 6.6 Where KrazySalt.com.au offers online account management facilities, customers can use this capability to control aspects of their account, including amending or updating certain Personal Information. 7.1 KrazySalt.com.au’s Privacy Officer will be the first point of contact for inquiries about privacy issues. If you wish to make an inquiry or complaint regarding privacy you should do so by contacting this office as per the details in Point 12. 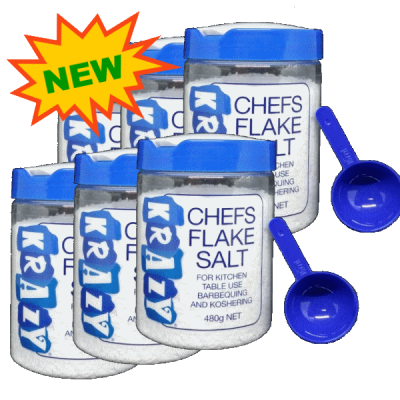 8.1 KrazySalt.com.au will not make it mandatory for visitors to its Website to provide Personal Information unless such Personal Information is required to answer an inquiry or provide a service. KrazySalt.com.au may however request visitors to provide Personal Information voluntarily to KrazySalt.com.au (for example, as part of a competition or questionnaire). 8.2 KrazySalt.com.au will allow its customers to transact with it anonymously or by using a pseudonym wherever that is reasonable and practicable. 9.1 If we send Personal Information overseas, KrazySalt.com.au will take steps which are both reasonable and practicable to ensure that the overseas recipient handles such information in accordance with the Privacy Act. “Direct Marketing” involves the Use and/ or Disclosure of Personal Information to communicate directly with an individual to promote goods or services through written, verbal or electronic means of communication. 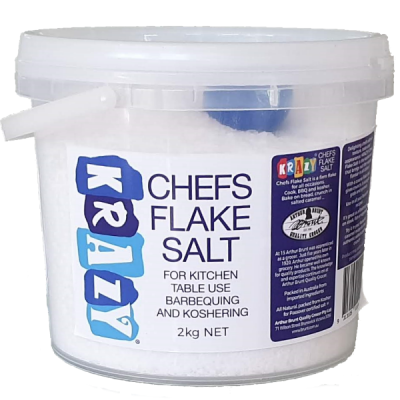 The goods or services which are marketed may be those of KrazySalt.com.au or a Related Body Corporate or those of an independent third party organisation. 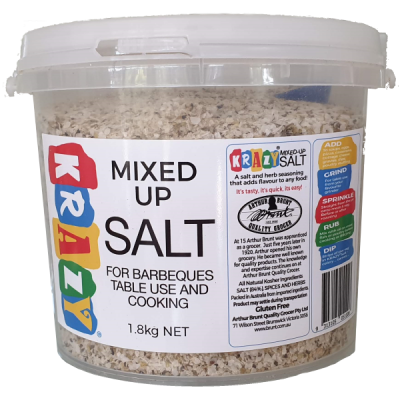 “Use” means the handling of Personal Information within KrazySalt.com.au. 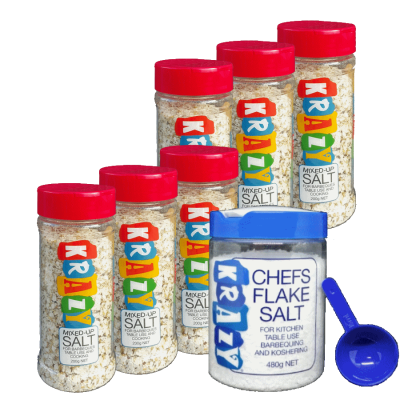 “Website” means the website of KrazySalt.com.au and related webpages.